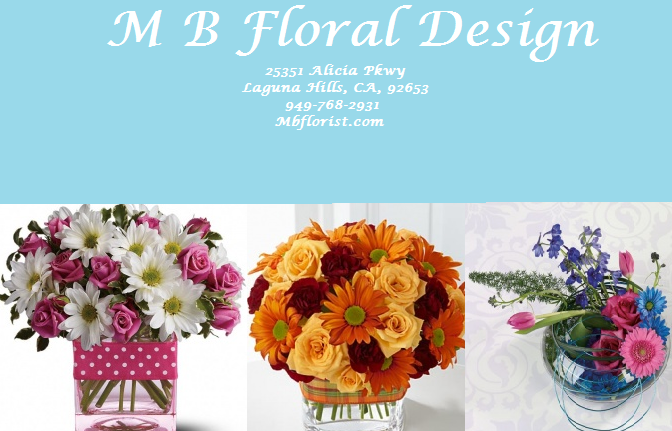 For any floral occasion MB Floral Design a local Laguna Hills CA professional florist, offers same day delivery in the Laguna Hills CA area. When you choose MB Floral Design for sending fresh cut flowers in Laguna Hills CA you know that you are choosing an experienced florist. 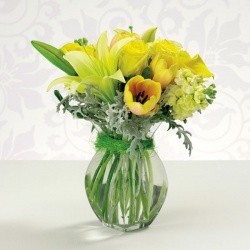 A flower arrangement from MB Floral Design will brighten anyone’s day! When choosing flowers from our professional floral staff, you can see the years of experience that go into every bouquet that we deliver. 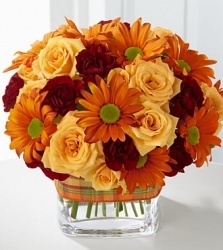 Place orders 24/7 on our online catalog in rder to find just the right gift for that special occasion. If you prefer, call MB Floral Design at (949) 768-2931 and speak with one of our friendly florist professionals, and we can custom design an arrangement exclusively to fit your budget. In addition to local flower delivery in Laguna Hills CA, MB Floral Design provides flower delivery services to the following nearby communities: Laguna Hills, Laguna Woods, Aliso Viejo, Lake Forest, Mission Viejo, Dana Point, Laguna Niguel and all South Orange County. In addition same day delivery service in these zip code areas: 92653, 92607, 92675, 92653, 92654, 92656, 92692, 92656, 92691, 92653, 92698, 92654, 92637, 92677, 92690, 92694, 92637, 92656.